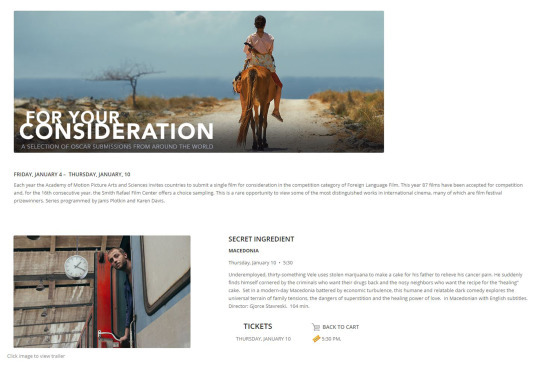 Each year The California Film Institute offers a selection of films that have been in the Foreign Language Film Oscar competition. This year 87 films have been accepted for competition and, for the 16th consecutive year, the Smith Rafael Film Center offers a choice sampling of 14 of these films. This is a rare opportunity to view some of the most distinguished works in international cinema, many of which are film festival prizewinners. Series programmed by Janis Plotkin and Karen Davis. We are very proud that Secret Ingredient is part of their selection! Secret Ingredient at Palm Springs International Film Festival! Secret Ingredient in theaters in Italy!